I need to do an ETL load from SQL Server 2005 to DB2. SQL server is my source which contains more than 300 GB of data and per table it will come around 25 GB (Gigabytes). 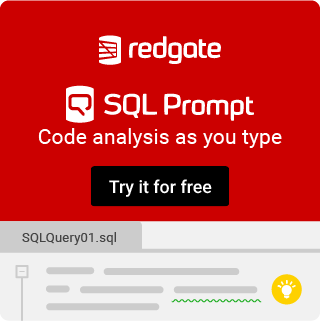 How should I approach SQL Server to extract the data? In terms of performance, etc.? Also if any one of have any white papers, reference materials, links, case studies, etc related to the above requirements, kindly let me know. There are many approaches but it depends on how your source database is used. Could you elaborate your scenario a bit more? I personally would strive to decouple the databases with some kind of logical layer in between so you end up creating a logical publisher/subscriber model. Partition your data so that you export only the changes each day - this would work well for data ordered by date for instance - SSIS or bcp in a SQL Agent job could do this for you. Replicate the main databases to a slave SQL Server and then use that copy as a source for your data export. The advantage of this is you don't take share locks for a long time when bulk exporting your data. There are disadvantages to it too though in that you complicate your environment, and you could have performance issues with replication depending on your transaction throughput. Have a simple SSIS package to export the data from the main database to flat files, and then load these flat files into the destination system. You can parallel bulk export your tables to flat files and then get the DB2 system to read the data in (could even do it with SSIS to get the data in). I personally favour 3, however I don't have enough information on your environment to make any decision. Thanks a lot for your kind reply with suggestions. Mark, My scenario is I need to do load the entire data 300 GB of data from SQL server to DB2. Actually it is thye Historical data set so we need to load entire data volume to the target. It is not a direct dump, rather there involves some business logic to denormalize the source data and the load it into the target database. For the business transformation, we use the ETL tool Informatica. If possible, suggest more on how to handle this much data volume for transformation in source as well as target side. Kindly reply me if you need any other information. Your question is still quite vague, what problems are you having? I don't see any problem with the data volume if you can use bulk operations to export and import the data. So for the SQL Server side you can bulk export the tables to flat files using either bcp, SSIS or informatica. On the DB2 side you can bulk import these flat files into DB2 into a staging database, and then do your transformation to your target tables within DB2. If you can let us know what particular issues you are having you might get a better response.